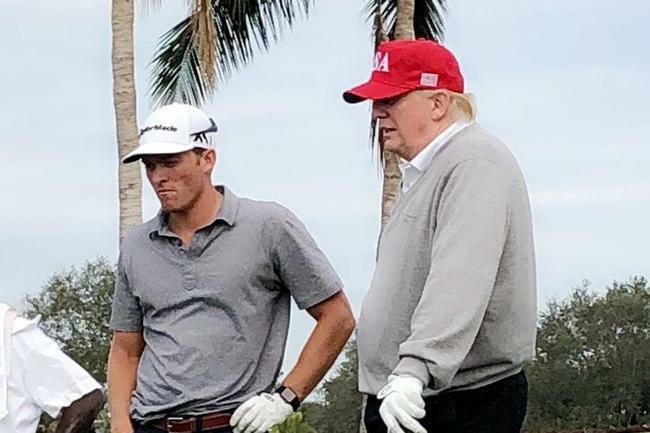 The former college top student Taylor Funk became the latest player having praised president Trump’s sharp golf skill. 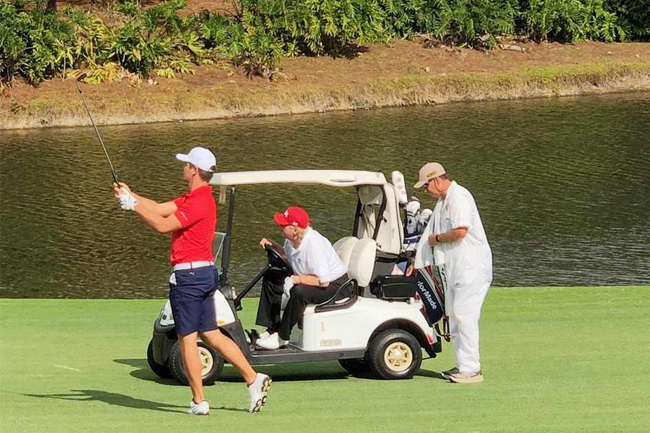 Taylor Funk and his father Fred Funk took a round with president Trump in Trump International Golf Club in Florida during New Year’s Holiday. Fred Funk has won Champions and Taylor Funk was pretty excellent in University. 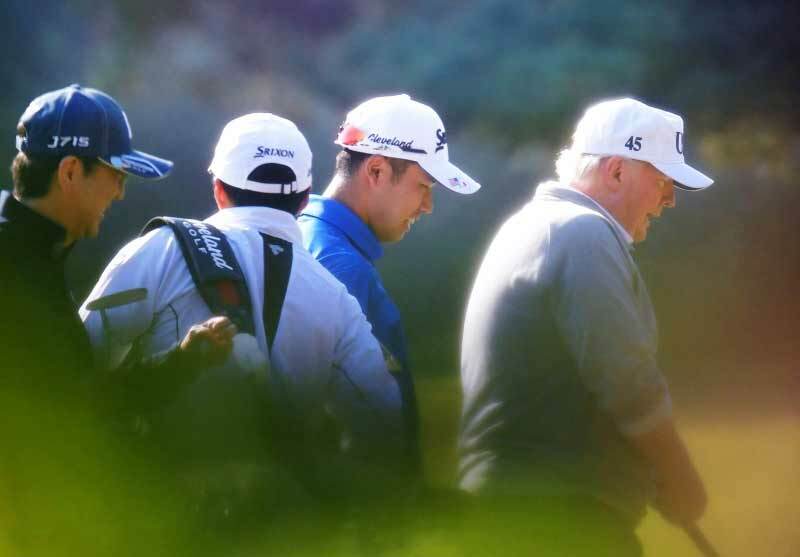 “Actually he plays very well, I am so surprised”, Taylor Funk told CNN, “ He got a par in out nine holes and did well in in nine. He is definitely more skillful than I have thought”. 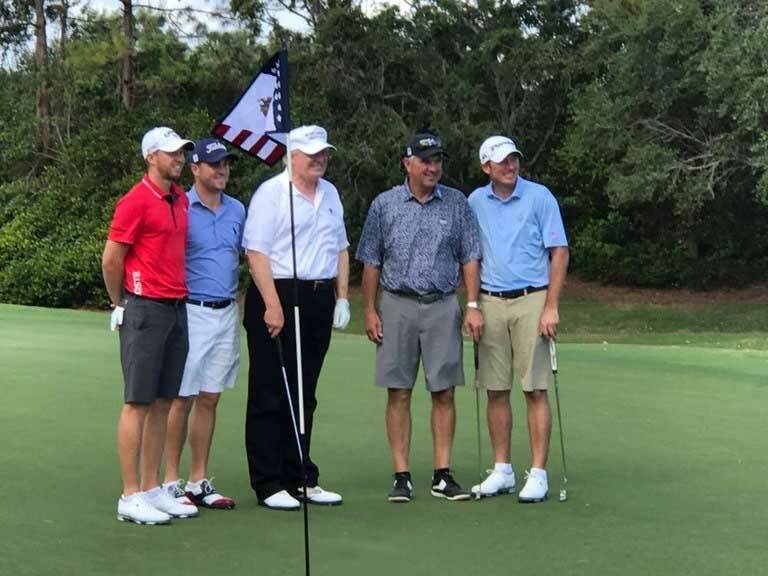 Trump has played several rounds in Christmas and New Year’s Holiday, and other pros who partnered him are Justin Thomas and Bryson Dechambeau. 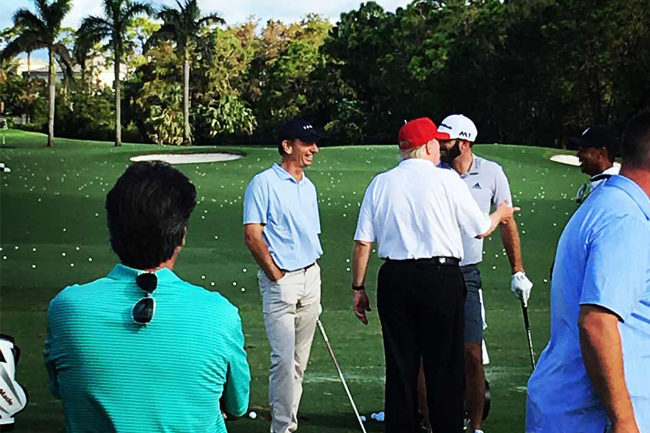 According to CNN, Trump has spent more than 86 days on courses named after himself during his presidential term. 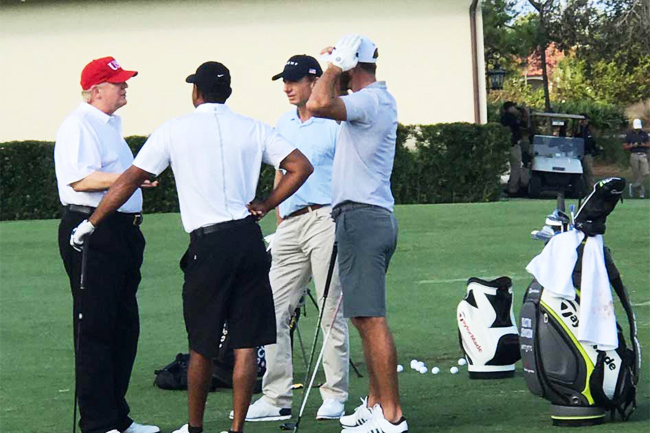 After being elected, Trump has golfed with several masters include Tiger Woods, Dustin Johnson, Brad Faxon, Jim Herman, Justin Thomas, Bryson Dechambeau and so on.